Deja View Photography: Looking to Adopt a Cat or Dog? Contact the Humane Society of Jefferson County at (360) 385-3292. 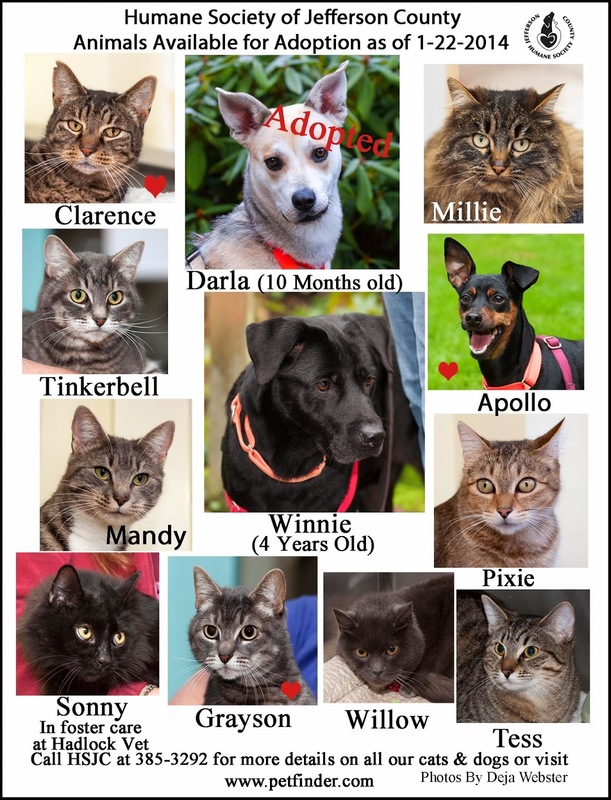 Looking to Adopt a Cat or Dog? Contact the Humane Society of Jefferson County at (360) 385-3292. The shelter in Port Townsend currently has a variety of sweet cats available for adoption. Currently they have one puppy and two adult dogs also looking to be adopted. The shelter is open Tuesday-Sunday from 12-5 or you can reach them at 385-3292. I always enjoy my time at the shelter photographing the animals. I'm not able to adopt a cat right now but I enjoy spending time with them after finishing photographing any new animals available for adoption. 2015 Port Townsend High School Seniors.